The Xindi have been brought back into the fold, but the Sphere-Builders have made it clear that, as trans-dimensional beings, they will never understand the importance of family or the value of time as a mean of true advancement. The Federation’s only hope is to appeal to Etana Jol and convince her to switch sides and sabotage the Sphere-Builders’ plans from within. Warship EMA (New) - this crew will be featured event crew in the event starting on 01/03. 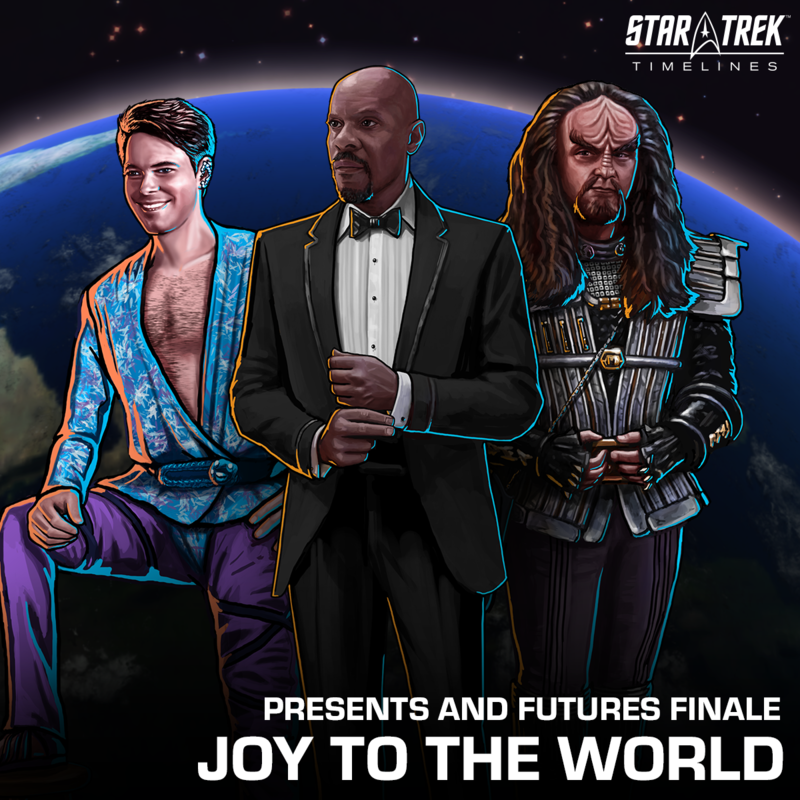 • small bonus: variants of B. Sisko, Alexander, Riker, and crew with the Pilot trait.